Apple’s watchOS 3 is a pretty excellent update overall, but there are a few things were Apple is missing the mark in my opinion. The first one was with the new Timer app’s interface, which they have already partially addressed, but now after using the beta for a few weeks another glaring flaw has become obvious. Media controls have taken a big step backwards compared to watchOS 1 & 2. The issue is that Apple has removed Glances from the watchOS interface, which I think is a good thing, but there was one glance that worked incredibly well and was very convenient in watchOS 2, and that was a the media controls glance. Skipping ahead or pausing my music was a simple matter of swiping up on the watch face and tapping the play/pause or forward/back buttons. There was no delay in that glance opening, and it was always there. It was one of the things that was undeniably faster to do on the watch than by pulling out your phone. Now in watchOS 3 Glances are dead, so that wonderful glance is gone. And while most things are faster now that Glances are kaput, media controls are far slower. You now have to press the side button, scroll to the Now Playing app, tap on it, wait for it to load, and then tap the forward/back/play/pause button. This isn’t the end of the world, but it is definitely less convenient and makes my Apple Watch feel less useful in this area than it was before. More often than not I’m just picking up my phone and controlling it from there. My solution is pretty simple, and is a combination of watchOS 2’s glance as well as iOS 10’s new Control Center. Instead of having a Now Playing app on the watch, why not bake those controls into the watch’s Control Center? Swipe up on your watch face currently brings up Control Center, so just add the ability to swipe right on Control Center to bring up media controls. This is exactly the interface that Apple is using in iOS 10 and it works great there, so I don’t see why it wouldn’t work on the watch as well. 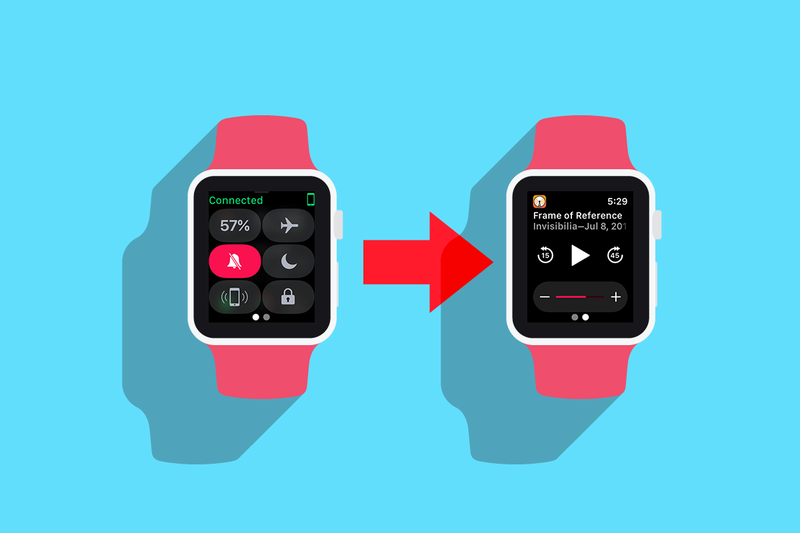 I’d be even happier if they could detect when you’re playing some sort of media on your phone so swiping up on the watch face would bring you straight to the playback controls without swiping right to get to them. We’re still about 2 months away from watchOS 3’s official release, so there is still time for Apple to make some changes to the interface. I hope they are using the beta on their Apple Watches as well and have come to the same conclusion I have here. And if you happen to know anyone who works on the watchOS team, share this piece with them!